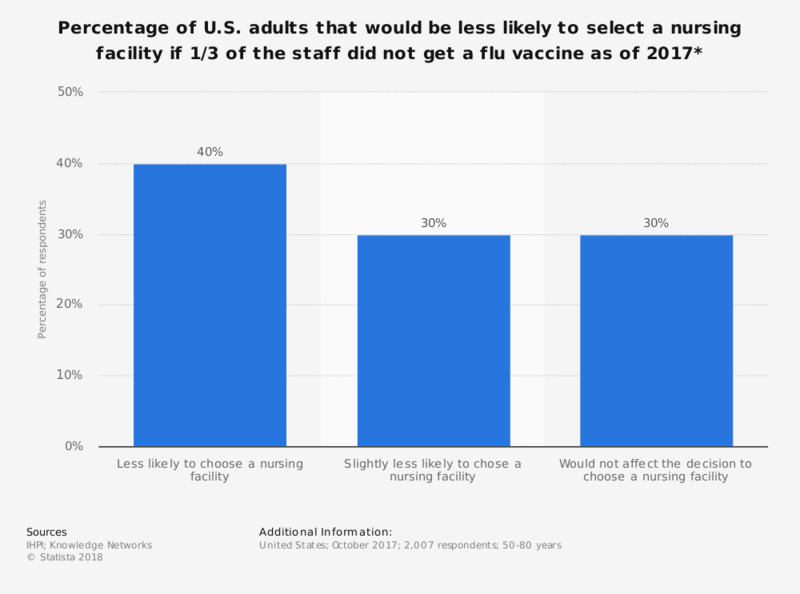 This statistic shows the percentage of adults aged 50 to 80 years that would be less likely to select a nursing home based on a scenario in which 1 out of 3 staff members chose not to get a flu vaccination as of 2017. According to the data, 40 percent of respondents would be less likely to select a nursing facility if this scenario were the case. However, 30 percent of respondents indicated that this would not affect their decision to select a nursing home. * "Given a scenario where 1 in 3 staff at a nursing home do not get a flu vaccine."